Lose twenty pounds and reverse the aging process in just sixty days with this clinically proven, holistic lifestyle plan from an anti-aging expert whose clients include some of New York CityÃ¢ÂÂs most successful women. Most diets donÃ¢ÂÂt work because they restrict food intake and put inconsistent physical stress on the body, starving cells, throwing hormones out of whack, and slowing down metabolism. In The Well Path, Dr. JamÃÂ© Heskett offers us a radical new approach: In order to lose weight, we first have to heal the damage weÃ¢ÂÂve done to our bodies from years of dieting. Before we can lose weight for good, we need to achieve homeostasisÃ¢ÂÂtotal balance in the body, with all its systems working in concert. When you're there, youÃ¢ÂÂre full of energy, look and feel younger, and lose weight effortlessly. 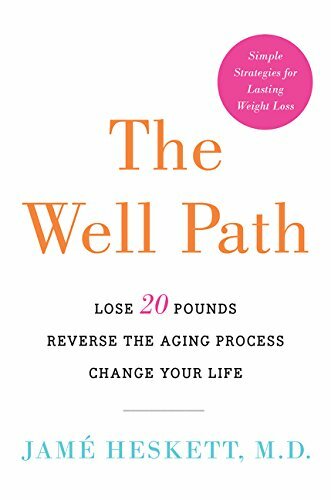 The Well Path will take you from sickness to health, fat to fit, and old to youngÃ¢ÂÂin just sixty days. About: Lose twenty pounds and reverse the aging process in just sixty days with this clinically proven, holistic lifestyle plan from an anti-aging expert whose clients include some of New York Cityâs most successful women.